If you have children about 5 years old or older there is a good chance that they love The Magic School Bus (the TV show, books and science kits). My children used to love this show and were ecstatic when we discovered The Magic School Bus Science Kits by The Young Scientists Club. My kids have been into “science” since they were about 4 years old. We started with the science basics, mixing 2 colors of food coloring to see what the new color would be or combining baking soda and vinegar to watch it explode. There are many science experiments that you can do with basic household supplies. 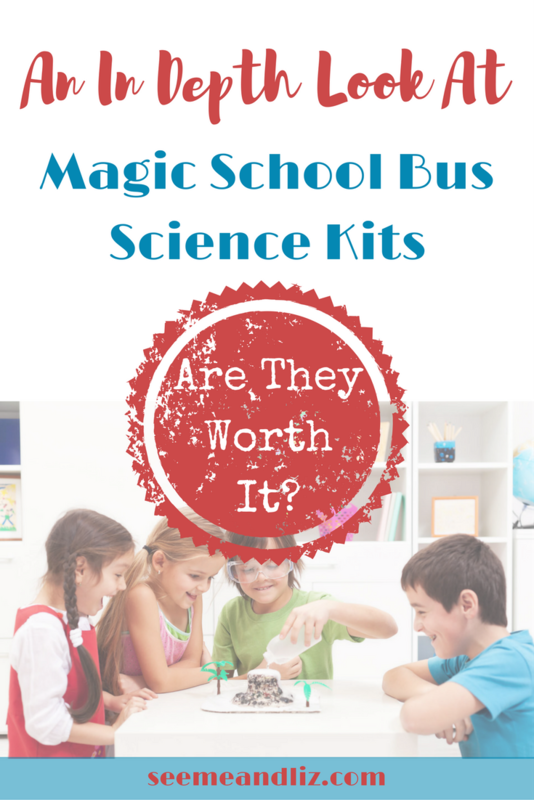 However, pre-made science kits such as the Magic School Bus science kits make great gift ideas and provide you with everything (almost – more on that later) you need to create your very own science lab at home! As children get older, their styles of “play” will change. A 5 year old should already have quite advanced language skills and therefore be having adult like conversations (correct grammar and sentence structure with a varied vocabulary – some errors will still be present). However, this does not mean your job is done. There is always room for a child to learn – they are like sponges – absorbing everything around them. Since children over the age of 5 are still children, they will still like to play. Most children at this age become fascinated by “science”. They love to see how things can change. There are more that I have not included in this list. You can really expand on your child’s vocabulary by talking about the key words that are a part of each theme. When children are learning a new word, they will need to hear it several times before they start using it independently. Also, make sure to explain to your child what the new word means. Children need to be exposed to new words hundreds of times before you will hear that word in your child’s vocabulary. 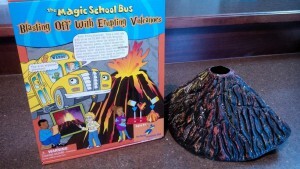 My daughter received the Magic School Bus “Blasting off with Volcanoes” science kit. With this kit she learned all about pumice and that it is created when rocks are ejected from a volcano (a few years before she learned about it at school). We discussed how to this day, people still use these stones, most often to soften the soles of their feet. She was fascinated by this. This is how your child’s vocabulary will continue to expand and grow! 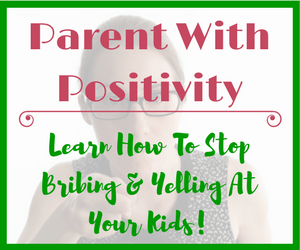 This is a perfect opportunity to follow your child’s lead. 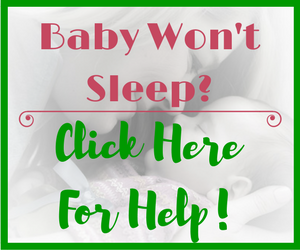 Following your child’s lead in the early years (0-3) is extremely, but it doesn’t end there. You will have plenty opportunities to follow what your child is doing by showing interest, participating, etc. well beyond the age of three. My son received the “Back in Time with the Dinosaurs” kit and my daughter received the “Blasting off with Erupting Volcanoes” kit. They loved them both! Here are my thoughts on both of these kits. great to expand on vocabulary – my son has learned many new words thanks to this kit! the pieces of the wooden dinosaur model need to be removed from packaging very carefully or they can crack (glue helped us fix ours) – its best if an adult does this unless the child is quite a bit older. once the dinosaur is assembled it can fall apart if moved around a lot. We fixed this by adding some glue to the loose parts – my son wanted to bring it in for show and tell. He was very proud of his dinosaur model. 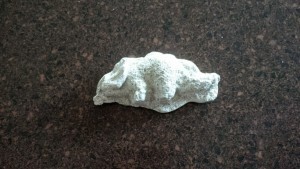 the fossils don’t look quite like fossils, however my kids thought they were great and that is all that matters. I would give the dinosaur science kit 4.5 stars! 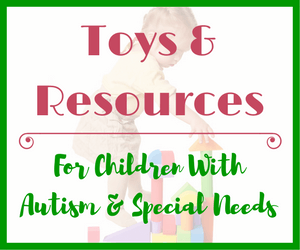 My kids both loved it and used it for quite some time in free play activities. I would definitely recommend this product for those budding young scientists and fans of the Magic School Bus. great to expand on volcano vocabulary. I even learned some new words while helping my daughter with this kit. the paint for the volcano is watercolor. The volcano is plastic. Therefore, the paint will not stay on the volcano, especially once you have erupted it. as with most science kits, common household ingredients are not provided. You will need to provide your own baking soda and vinegar to use with this kit. I would give the volcano science kit 4 stars! My children both enjoyed it and have experimented with different amounts of ingredients to make the biggest volcanic eruption. My daughter hasn’t started on the activity book (adding the stickers) so we will do that this week. I would recommend this product for those budding young scientists and fans of the Magic School Bus, but keep the “cons” in mind. If you try one of these Magic School Bus Science kits, please leave me a comment and let me know what you think. If you have already tried some of the other kits in the series I would love to hear your thoughts! For between $12.99 and $32.99 USD a kit you really can’t go wrong. Last year you could buy a yearly subscription to the Magic School Bus Club where each month they would get a kit age appropriate. It made a great holiday gift but this year I do not see it offered. Very disappointed as we were counting on giving it to our grandchildren this year too. I am sorry to hear that. I didn’t even realize that you could get yearly subscriptions. What a great idea. I had a quick look to see what I could dig up and found this http://www.theyoungscientistsclub.com/themagicschoolbus/msb-ordering.html. I am not sure if this is what you are looking for but these look promising! Thanks for this information. I love discovering these amazing products while randomly looking at other sites. Its often I come across gems such as the ones you have researched. I am happy that you made it to the site and found these amazing science kits! You are right, The Magic School Bus Science kits would make great Christmas gifts. My kids keep asking for other ones in the series. I will probably end up getting them one each for Christmas. Come back and let me know what your kids think of them if you get them! I’m sure your 6 year old will be thrilled. They may be a bit too advanced for your 2 year old, but it should still be a fun activity. This is a great product. Or product line I may add, based upon your review I have been digging in amazon, and found out all the products of the “Magic School Bus” line and they are great! I have a 4 year old boy, and even if now we are more in the “buzz lightyear fighting dinosaurs and robots” stage, he seems to be showing some interest in science. And of course I want to grow that interest big!! I found the part where you said that this is not only amusement, but also language improvement very interesting. I had never thought of it that way, and you totally make a point. 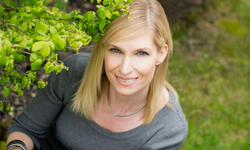 I have already put some of these products in my shopping cart! They seem amazing! Please let me know what you and your son think of the Magic School Bus science kits once you have had a chance to use them. Also let me know which one(s) you ended up purchasing. I still plan on getting some more for my kids. They are both really into learning about space right now and I saw there was a space science kit as well. Most language building opportunities happen naturally without the parent or child even noticing. However, I like to point these out to make parents and educators more aware! And then this can help those children who might be a little bit behind. This is such a great fascinating post. I was always a fan of the TV show The Magic School Bus. The show delivers well in showing how learning about science can be fun, engaging, and interesting. I never knew about The Magic School Bus Kits until I ran across this lovely post of yours. 🙂 I am probably on middle ground in whether I want to try the Volcano Kit first or try my hand at being a paleontologist making fossils using clay. Perhaps it is the thought of art that is combined in both kits that have got the better of me in deciding to try one over the other. Upon reading this, I feel like I want to relieve my childhood moments learning about science all over again. Thank you for your comment Angel. I also didn’t know about the magic school bus science kits until I went online in search of dinosaur science kits for my son. When I saw the magic school bus ones I figured he would be really excited. He loves the TV show and he had been asking for a dinosaur kit for quite some time. He was thrilled when it showed up in the mail. I ordered the volcano one for my daughter because I knew she would be upset when nothing showed up for her. She has expressed an interest in volcanoes and is also a fan of the Magic School Bus TV show. She was pretty happy with her kit as well. If you don’t have any kids of your own, these kits make for excellent gifts! I have not heard of Scientifics Online. It sounds like a very interesting place. I will make sure to take a look. My kids are always wanting new science kits. However they are pretty entertained just by pouring vinegar into a bottle, putting a few drops of food coloring in and then adding some baking soda and watching it explode. I think science kits for kids are one of the greatest products out there. Fun for everyone! Hey There! Was looking for new things for my child who is 6 and ran across your reviews. I love the Magic School Bus. It’s very educational and my child loves it as well. I didn’t even know this kit existed and I may have to pick it up for him. It looks fun and could take some time to build it. This will occupy him for a few hours! I also didn’t realize that these kits existed until I started searching for dinosaur and science kits as my kids (especially my son) are really into these things. I found the Magic School Bus Kits on amazon and ordered 2 right away as the price was quite good. My kids were thrilled when they showed up in the mail. It was like Christmas in our house! Please let me know what you think if you decide to get one (or more) for your son! Great post. I have never had children but understand how important it is that they learn in a fun way. The magic school bus kits sound great and it is even better than you can write about the product from first hand experience. Science has never been one of my favourite subjects – basically because we didn’t have kits like this to learn with. We just learnt at school from some seriously boring teacher – no fun in it at all. I wish we had had something like this to learn science with. The cons you give are not really severe ones and seem to be easily fixed. However, the pros seems great. I can see that these kits would be a fantastic asset to learning. Thanks for leaving a comment even though you don’t have any children. 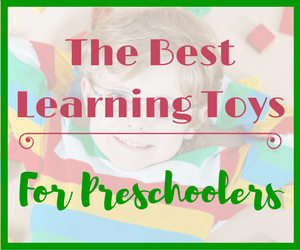 You are right about how important it is for children to learn in a fun and hands on way. 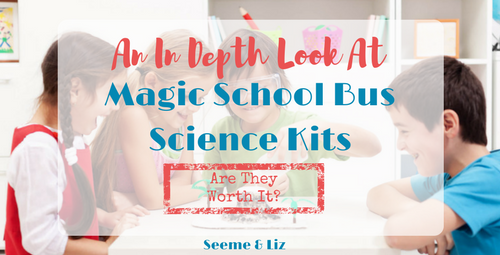 The magic school bus science kits help with learning, however the child sees it as playing and experimenting. My kids are really into science experiments. They see it as something fun to do! 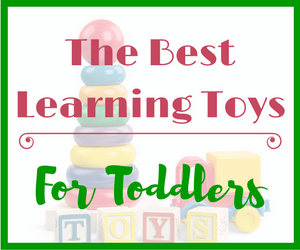 I love these hands-n play-and-learn type of activities! My kids do too! I found your product description and reviews of the Magic School Bus Science Kits, with pros and cons, very useful. Thank you! Thanks for your comment. I am glad that you found my description and review of the Magic School Bus science kits helpful. If you do decide to get one of these for your children, please let me know what you think. This kit seems to be fun. I liked the Dinosaurs one. There are so many great kits in the magic school bus series series. My kids want to try them all! Those look like so much fun while being educational !! I look forward to trying some. They are a lot of fun and the kids don’t even realize that they are learning. We can’t wait to try out some more in the magic school bus series! Love these products. Thank you for this website. I am glad that you like the site! First of all let me start by saying that I like You reviewed something You personally used. I don’t like reviews when it’s pretty obvious that someone just did the research and haven’t touched the thing first hand. Secondly, I wish they would have those kits when I was young! Sound like lot of fun, especially for kids that are just beginning to grow up. I don’t have kids yet, but seems to me that those kits are a perfect parent-child bonding material. If I will have kids in the future definitely will have to get them some of these. All the best. Keep up with the good work! Thank you for your comment! I know what you mean, when I was younger none of this stuff existed. You are right, the magic school bus science kits are great for parent-child bonding. We spent several hours together working through the kits.